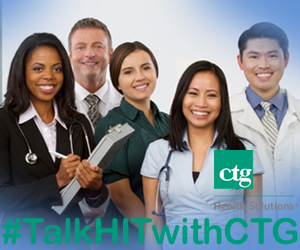 This #TalkHITwithCTG series is brought to you by our partner CTG Health Solutions and the episodes will be broadcast live in CTGHS’s booth (#1580) at the The HIMSS15 Annual Conference and Exhibition. The interviews will be recorded and will be published on a regular basis on intrepidNow Healthcare. Bookmark this page to follow along with CIOs and other thought leaders from health systems across the country. Also, read more about why CTGHS is the trusted advisor to over 600 health systems and providers. One of CTGHS’s biggest goals for HIMSS every year is to engage in meaningful conversations – with clients, prospects, thought leaders, friends and colleagues, media members. CTG see’s HIMSS15 as a time to discuss today’s most popular HIT issues and challenges and to use these conversations to both validate what we are offering to our clients as well as to strengthen those offerings. .
Alongside that goal, CTG Health Solutions is committed to remaining a member of the HIT thought leadership ranks and see it as a part of our industry commitment to share what we learn with as many people as possible. We do this in a number of ways – social media, conversations, articles, blogs, presentations. HIMSS is a great place to not only learn from others, but to share with others. And, of course, the third goal, is to see old industry friends and colleagues and to find time to have have fun with our current clients and associates. CTGHS sees the partnership with intrepid Healthcare as the perfect opportunity to achieve all three of these goals. CTGHS will give intrepid Healthcare’s audience a front row seat as they bring the best #HIT thought leaders to #TalkHITwithCTG on our show. People attending HIMSS will be able to listen at the CTG Health Solutions Booth (1580) during the show or live on the Internet, and for those that are not able listen live, we will make these interviews available on the TalkHITwithCTG page of the intrepid Healthcare website. CTGHS is working on developing a well balanced line up. We will be talking to CIO’s and other healthcare executive clients who are on the strategic, technical and operational front lines of #HIT everyday. These are the folks that are implementing EMRs, focused on meeting meaningful use, planning of ICD-10, defining what we mean by “big data”, developing ACOs, HIEs, and so much more. We are also working to secure a few of today’s leading HIT media representatives – you know, those folks like you who are covering this crazy, every changing market. Finally, this year, we are hoping to talk to a few very special guests – actual patients – those healthcare consumers, like you and I. Because, at the end of the day, they are the reason we are all in this, right? To change and improve upon the way that we deliver healthcare today. Join the #TalkHITwithCTG Conversation! Follow CTG Health Solutions on Twitter, LinkedIn and Facebook! 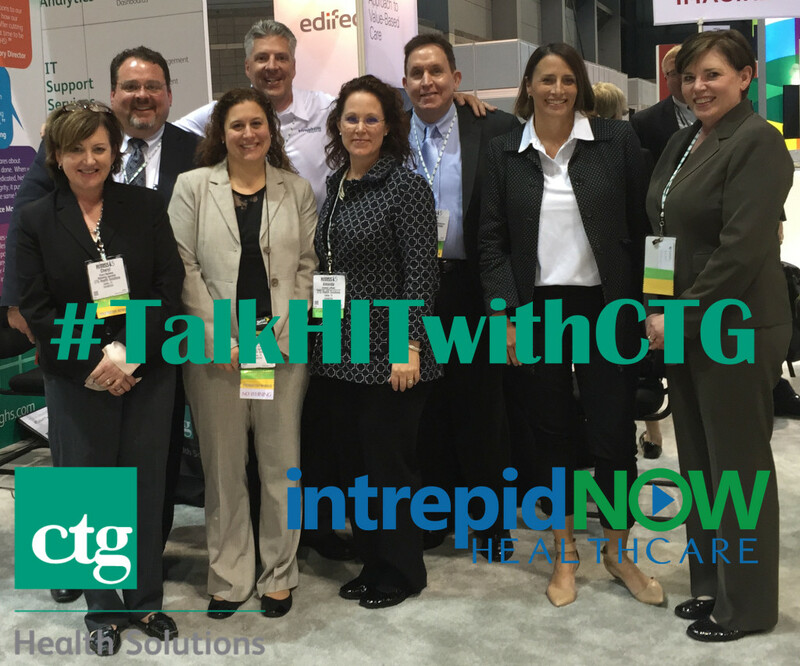 #TalkHITwithCTG at #HIMSS15, It’s a Wrap!